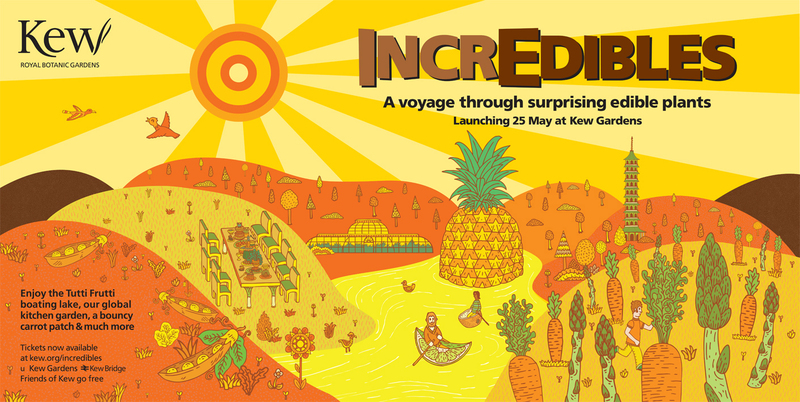 Billboard posters for Kew Gardens IncrEdibles Festival. The posters were used throughout the London Underground as well as on London Buses. 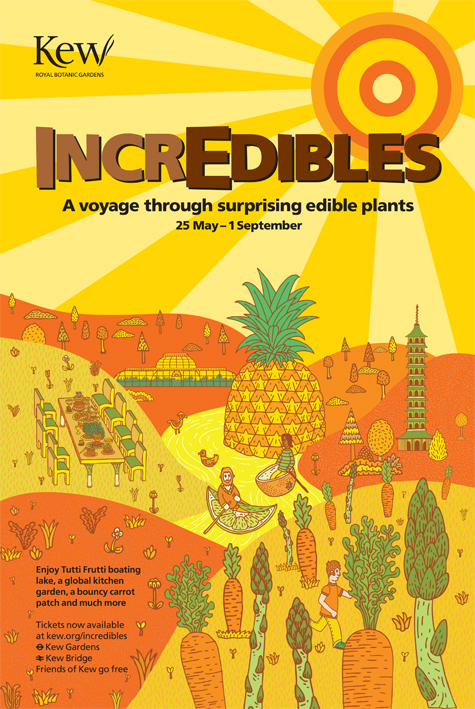 Elements of the posters were also used throughout Kew Gardens on signsposts and information boards during the festival.